I have guests coming into town this weekend, so I am rushing around getting the house "visitor-ready." 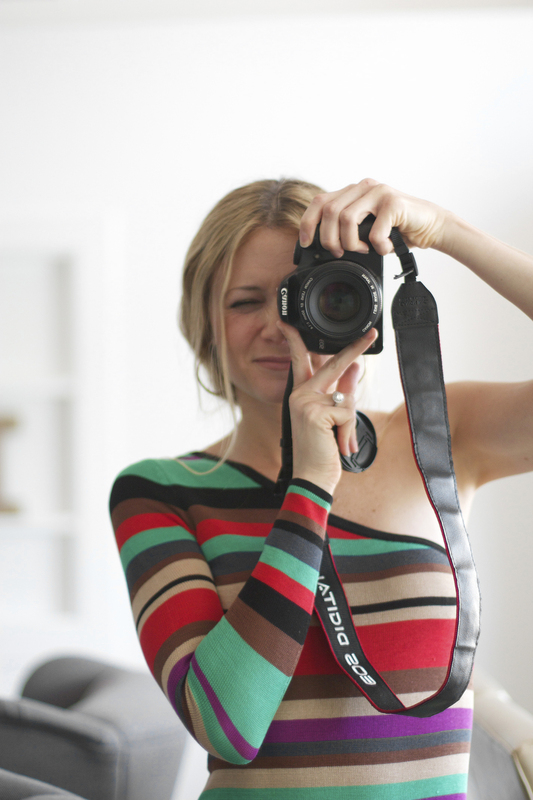 Nate Berkus says you should always have your house in "guest-ready" condition. I try, but I always fail miserably at this concept! 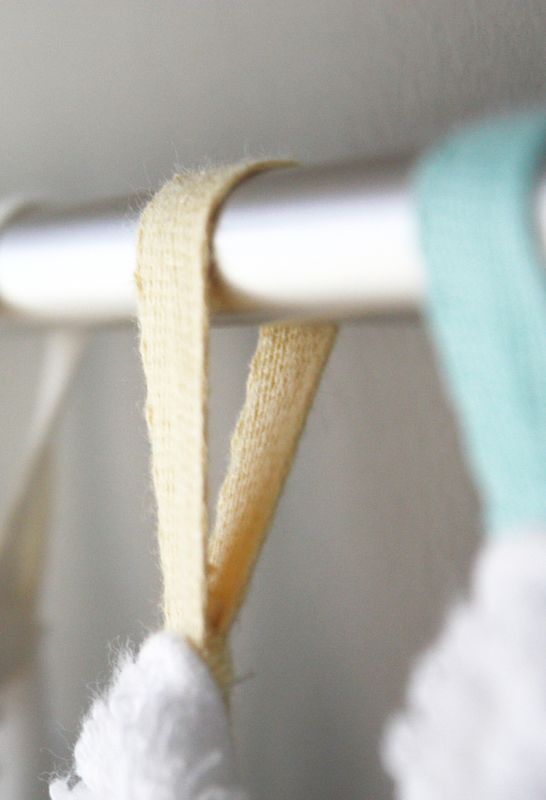 I am turning over a new leaf with these color-coded towel loops, a great way for organizing towels. 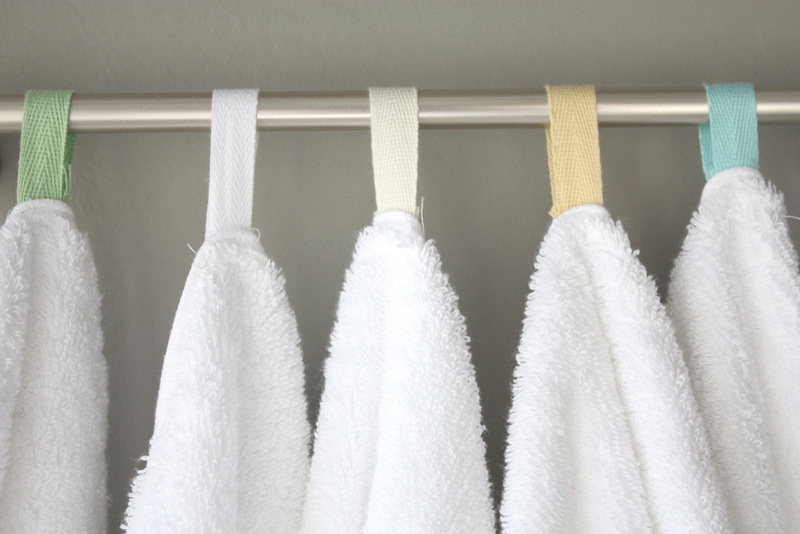 Cut pieces of twill tape long enough so when looped, they will fit around your towel hooks. Loop twill tape pieces and fold ends under. 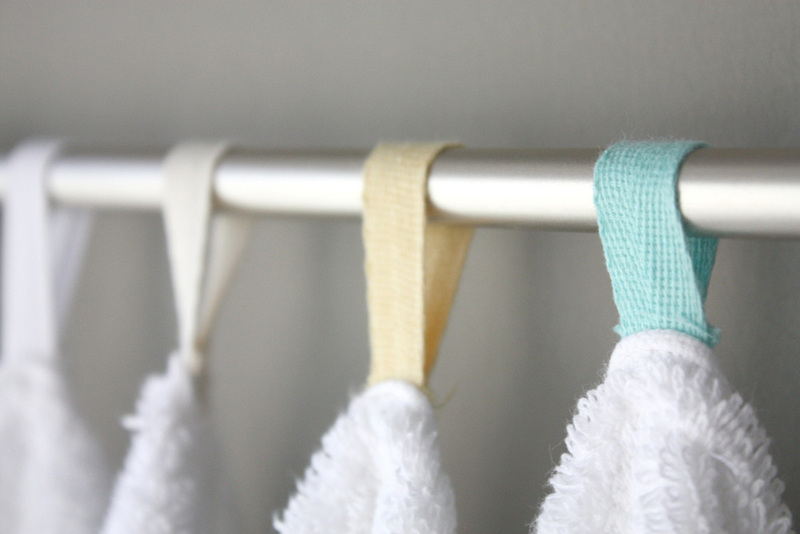 With a machine or by hand, sew loops onto towels where you want them. Put this at the top of your list of house guest ideas. You can even do the colors to match your bathroom decor. Whatcha think?